New boating and fishing laws are now in effect to prevent the introduction and spread of invasive species. Michigan's Natural Resources and Environmental Protection Act have made some changes for boaters and anglers that may switch up your regular routine. The amendents are intended to strengthen protection for Michigan's waterways against the introduction and spread of aquatic invasive species. LOOKING FOR A NEW-TO-YOU USED OUTBOARD MOTOR? 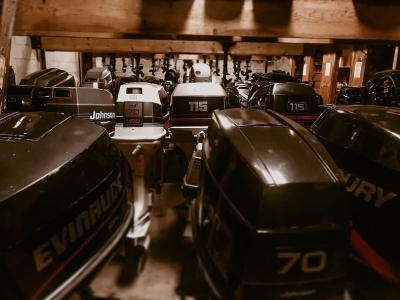 Here at Van's Sport Center, our used outboard collection is at an all-time high. We've got about 150 used motors that are ready to find their new homes. There are a few things to consider when you are in the market to buy a used outboard. Consider where do you go to find one? How old is too old? 2-stroke or 4-stroke? Tiller steering or remote steering? What's your maximum horsepower size? What does your budget look like? 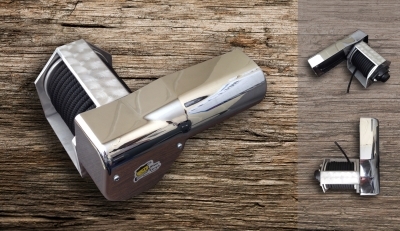 Do you have a control box already mounted on the boat from the previous motor? Is it a good working motor? Is it in the condition you were hoping for? I'll walk you through a few basic things to think about before you're tempted to grab the best deal. SPRING TRAINING - GET YOUR BOAT IN SHAPE! With these warmer temperatures, our eye is on the prize – boating season! And when that first nice day arrives, it’s temping to hit the water immediately, wing it, and hope for the best. However, doing this often leads to breakdowns and a slow joy-ride as you’re being towed back to your launch point. Do yourself a favor and prepare your vessel the right way. It is best to have a certified mechanic complete any pre-seasonal maintenance, but if you’re more of a do-it-yourselfer – no worries. The steps below will provide a few basic (but crucial) things to check before your first launch. Pre-season maintenance will vary depending on different models, sizes, years, etc. Please be sure to check your owner’s manual to complete the manufacturer’s recommended maintenance. 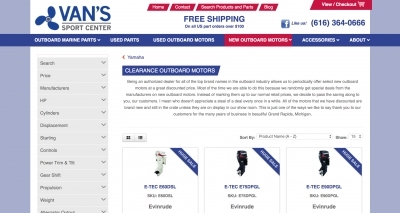 Vans Sport Center is an authorized dealer for all of the top brand names in the outboard industry which in turn allows us to periodically offer select new outboard motors at great discounted prices. All of the motors that we have discounted are brand new and still in the crate unless they are on display in our show room. No used motors, returns, or demos here. This is just one of the ways we like to say thank you to our customers for the many years of business in beautiful Grand Rapids, Michigan. I mean who doesn't appreciate a steal of a deal every once in a while? If you own a jet sled or fish for steelhead and salmon in any of Michigans major river ways you understand the importance and need for a solid anchor winch. There are a number of different brands on the market you can choose from all varring in price and quality, but not every system out there is going to fit your needs. Yeah, you could go with an ATV winch or maybe a Windless or some other brand name you find at your local marina, but honestly those wont cut it. You are going to need something that is heavy duty, fast, and powerful enough to pull up some weight. With that being said there is only one brand that comes to mind. Unless your a duck hunter or fishing the rivers this fall in Michigan, its probably a good time to think about winterizing your outboard and shrink wrapping your boat for winter. Yes, there are still going to be some good days of boating ahead, but when the thermometer drops, getting your boat out of the water is the last thing you will want to take care of. Dealing with the cold, rain, or possibly even snow will just make the task at hand that much harder and unenjoyable. 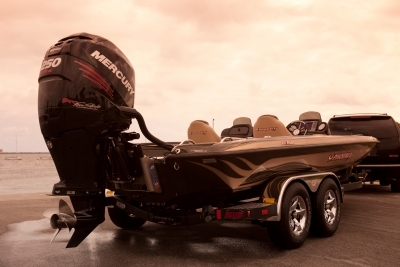 As I am looking over the Mercury Marine outboard motors for this up coming season I am seeing quite a few new additions and changes that have been made. Honestly, there are so many new motors this year that it looks like they have completely revamped their whole line-up. Which is exciting news if you ask me. 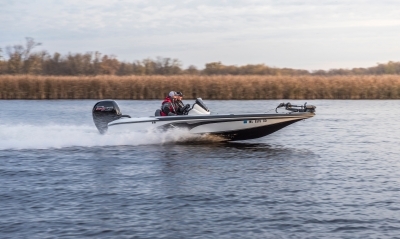 Although the majority of the changes start at the 150hp range and go up from there, their 15 and 20hp outboards have some interesting improvements that can be seen as well. Winterization season. Its a sad time of year for serious boaters and die hard lakers when they come to the realization that they have to prep the boat for the winter months and store it away until spring. 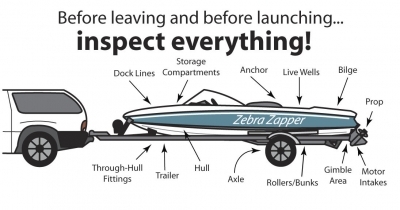 To be honest, its not something any boater looks forward to, but if not done you can have some major issues and huge costs on your hands come spring time. If you are like me and winterize your outboard on your own you are going to want to do it by the book. That means treating the fuel system with stabilized gas, changing the gearcase lube, fogging the powerhead and lubricating all of the moving parts. Even if you do all of these things to a T, you can still screw up and make some huge mistakes that will leave you at the dock next season. 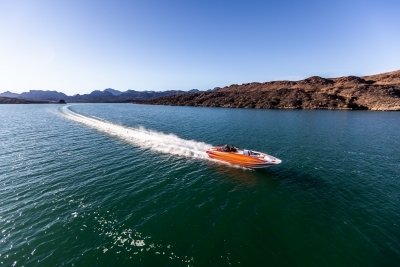 REPOWERING YOUR JET SLED FOR THE FALL RUN?